Any ideology or thought or ambition of man, about power and might, will fail again and again, if one turns away from our Father, Jesus Christ, the Incarnate Word. 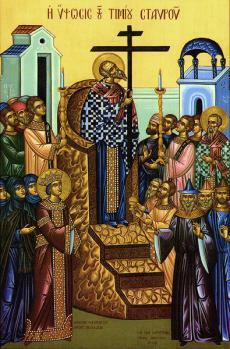 The feast of the Entrance of the Most Holy Theotokos into the Temple is a spiritual foreshadowing of our entrance into the heavenly kingdom. This foreshadowing provides us with our own preparation for entrance into the heavenly realm. We must be adorned properly with a spirit cleansed by a life of repentance and asceticism. We must be willing to struggle just as the 3-year-old infant had to make an effort to ascend 15 high steps in order to enter the temple. So should we, in order to enter the Heavenly Realm, make the effort to ascend the ladder of virtues, to labor at fasting and prayer. 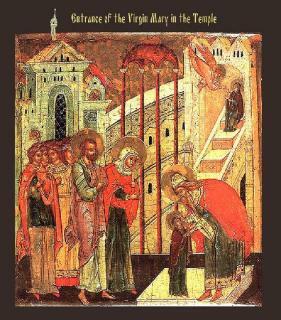 The Holy Virgin went up the steps by herself, without any help from others, but with the miraculous help of God. So should we, in our attempt to attain the Heavenly Realm, make the effort ourselves, but constantly asking God for help along the way. 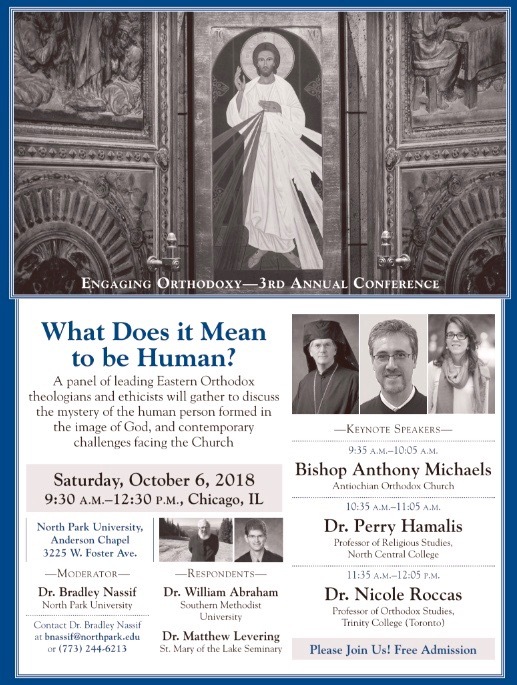 Holy Cross Orthodox Church will host “Educating Ourselves & Our Children in Godliness” on Saturday, November 17, 2018. The event will run from 8:30 a.m. – 4 p.m. In this advanced training, participants will gain confidence and knowledge, with courses for both elementary and middle school/high school teachers. Courses will address learning styles, teaching strategies, adolescent needs, and moral issues. Register online here! Cost for the day is $10 and includes the training and materials, plus breakfast, lunch, and snacks. Please email Deborah at kdakthomas@verizon.net or call 410-694-0542 with questions. New and experienced teachers are welcome! There is something for everyone. 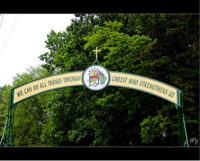 The 20th Annual Midwest Diocese Basketball Tournament will be held in Canton, Ohio, on January 18–20, 2019. 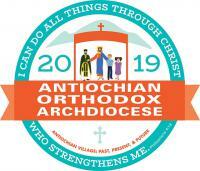 This year, His Grace Bishop Anthony and the faithful of the Diocese of the Midwest joyfully welcome participation from churches of the Mid-Atlantic Diocese, led by His Grace Bishop Thomas. 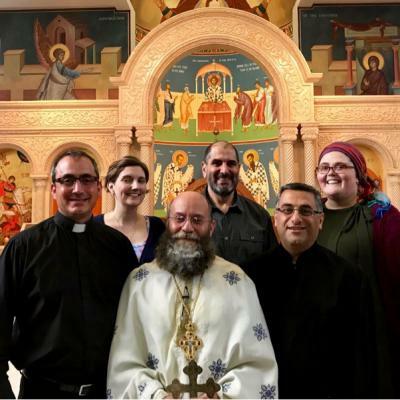 The host is St. George Antiochian Orthodox Church, and accommodations are available via the Courtyard by Marriott in Canton at a group rate of $89.00 per night. As a teen of this current generation, it’s hard for me to find other people my age that I can connect to and understand on a spiritual level. There are very few places where I feel completely accepted and where I am surrounded by friends who I know will always understand me. These places are at camp, and at conventions and retreats. With these events, I am only able to see my friends who come from all over the southeastern region twice a year, which I think everyone would agree, is not enough. This is why when Bishop Nicholas proposed the idea of an annual fall retreat to the SOYO board, our immediate response was "Yes!" Anyone who has talked to Bishop Nicholas knows that he loves Teen SOYO. Many would describe him as a teen himself, from the way he uses our slang and taps people on the opposite shoulder, to joking around with all of us. Bishop Nicholas, including many others, know that we teens are the future of the Church. Nathan Klopcic, 12, from St. John Chrysostom Orthodox Church in York, PA entered the winning video in the Media category from the 2018 Diocese of Charleston and the Mid-Atlantic Creative Arts Festivals. 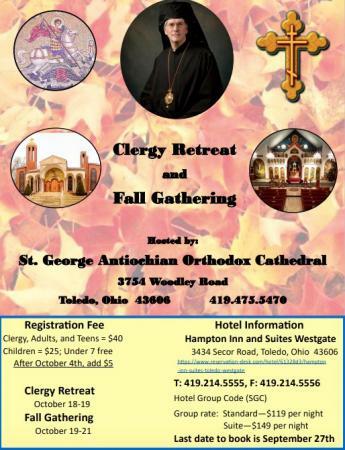 St. George Cathedral in Toledo is pleased to host this year's Clergy Retreat and Fall Gathering, October 18–22, 2018. 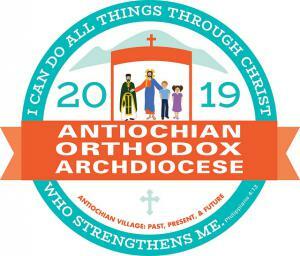 Bishop Anthony will preside and has requested the presence of all clergy, along with organizational leaders and representatives from each parish. 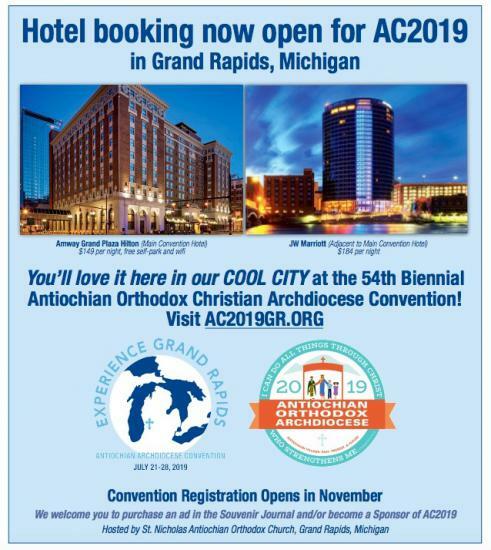 Book your hotel now to attend the Antiochian Archdiocese's biennial family reunion hosted by St. Nicholas Antiochian Orthodox Church in beautiful Grand Rapids, Michigan on July 21-28, 2019! Discounted hotel prices at Amway Grand Plaza are as low as $149 per night and JW Marriott are at $184 per night, so book now! the musical production "From Broadway to Grand Rapids"
AC2019 will be family-friendly, affordable, walkable, and fun. 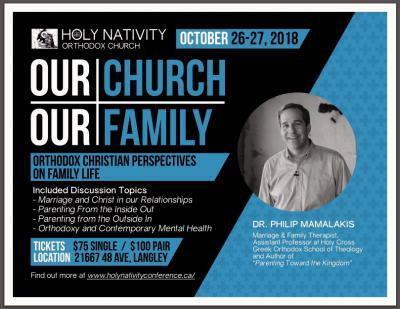 On October 26–27, 2018, Holy Nativity Orthodox Church is excited to host its annual fall mini-conference featuring Dr. Philip Mamalakis, professor at Holy Cross Greek Orthodox School of Theology, marriage and family therapist, and author of Parenting Toward the Kingdom. The two-day conference, which will intersperse four sessions with vespers, matins and meals, will be hosted in Langley, BC. Tickets for the conference cost $75/one or $100/pair. The Department of Christian Education announces two confirmed trainings this fall for the Diocese of Charleston/NY. Please contact the host parish to take advantage of these opportunities to provide support and training for your teachers! New and experienced teachers are welcome! There is something for everyone. St. Nicholas will host “Educating Ourselves & Our Children in Godliness” on Saturday, September 29, 2018. The event will run from 9 a.m. – 3 p.m. with courses for both elementary and middle school/high school teachers. Trainers Fr. George Alberts and Mat. Anna Timko-Hughes will teach courses that address learning styles, teaching strategies, adolescent needs and moral issues. Contact Fr. Romanos Malouf for further information at frromanos@gmail.com or call 203-209-6725. St. George is planning a customized training entitled “Enhancing Learning Outcomes” for Saturday, October 6, 2018. I greet each of you on this great feast of the Universal Exaltation of the Precious and Life-giving Cross. On this day, we rejoice in the instrument of our salvation—a sign of contradiction and suffering to the world but to us a sign of reconciliation with God. For the Cross is the salvation of the Church; the Cross is the boast of those who hope in it; the Cross is reconciliation of enemies to God and conversion of sinners to Christ. For through the Cross we have been delivered from enmity, and through the Cross we have been joined in friendship to God. Through the Cross we have been freed from the tyranny of the devil, and through the Cross we have been delivered from death and destruction. When the Cross was not proclaimed, we were held fast by death; now the, Cross is proclaimed, and we have. come to despise death, as though it did not exist, while we have come to long for everlasting life. When the Cross was not proclaimed, we were strangers to paradise; but when the Cross appeared, at once a thief was found worthy of paradise. From such darkness the human race has crossed over to infinite light; from death it has been called to everlasting life, from corruption it has been renewed for incorruption. As we draw nearer to the start of another Church (and for many of us, another Church School) year, we should prepare accordingly. This new year offers us the opportunity to begin afresh and look for ways to improve ourselves. With this in mind, let us approach this new year(s) with resolve. 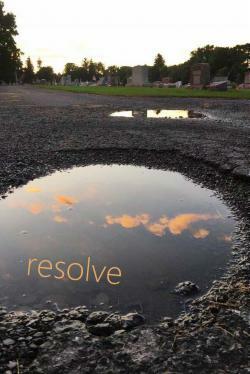 Resolve is an appropriate word for the beginning of a year. Two of its definitions are especially appropriate. One way that Google defines resolve as a verb is, to “decide firmly on a course of action”. The start of a new Church/school year is a great time to do that! What action should we firmly decide to take? Evaluate. Think back over this season we’ve just come through. How did we do in that season? How have we changed for the good? Prioritize. Sort our habits, identifying the good “keepers” and bad “time to change this” habits. Also, make a list of what lies ahead in our schedule. Of everything on that list, what is most important? 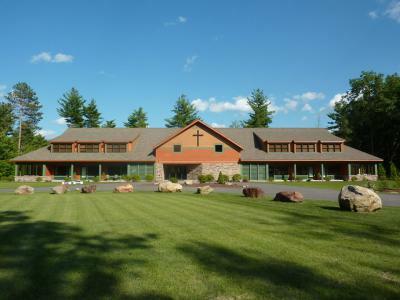 Bishop ANTHONY is Keynote Speaker at "Engaging Orthodoxy"
With the blessing of His Grace Bishop JOHN, the Diocese of Worcester & New England is pleased to announce our 2nd annual Diocese Family Camp and Diocese SOYO Fall Camp to be held the weekend of October 5–7, 2018 at the St. Methodios Faith & Heritage Center in Contoocook, New Hampshire. Family Camp is an opportunity for your family to get away from everyday life and take a weekend as a family to grow closer to Christ. At Family Camp, eating a meal together as a family is the norm, not the exception. Not your typical vacation, Family Camp offers a mini-vacation without maps, lines for popcorn, or decisions over where to eat. Our flexible schedule gives you the choice of "doing it all" from canoeing to volleyball, or just taking it easy and savoring a good view from the waterfront. 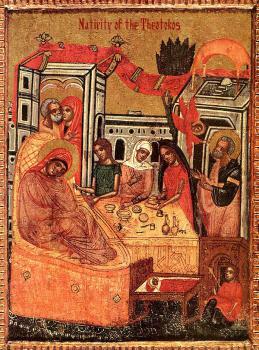 I greet each of you on this most joyous feast of the Nativity of the Most Holy Theotokos. On this feast we reflect upon the wonders of the thrice-holy God who provides a child to the barren couple and the foretaste of our salvation. The present feastday is for us the beginning of feastdays. Serving as boundary limit to the law and to foretypes, it at the same time serves as a doorway to grace and truth. "For Christ is the end of the law" (Rom 10:4), Who, having freed us from the writing, doth raise us to spirit. 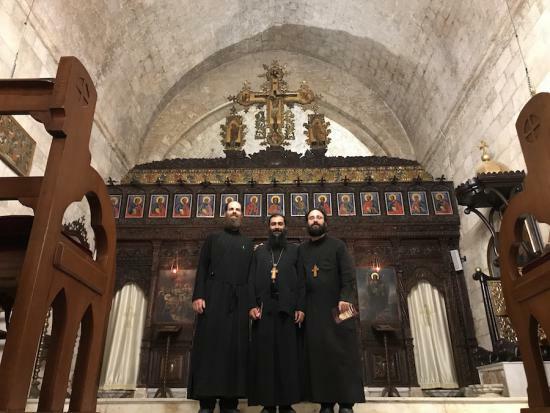 During the week of August 27, 2018, His Grace Bishop THOMAS was at Antiochian Village during the First Week of Residency for the Antiochian House of Studies. 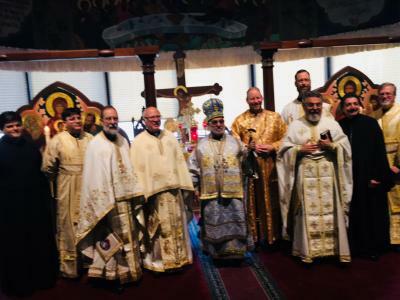 This photo includes all the clergy present for the Divine Liturgy. As we enter September, we are reminded of the important role the Academy plays in teaching, educating, and answering questions for our prisoner-students. The shared goal is to better know Jesus, as both the Creator of all and our Father, by generation. For in this, is the opportunity to growing in knowing Him, as we mature in our faith in His profound love for us. And being safe and secure in our relationship with Jesus – the Anointed Son of His Unbegotten Father – we can begin to prune away the foolish wisdom and ways of cultural customs and traditions of man. Such is key to a favorite courses of our prisoner-students: PRAYER LIFE, discussed both relationally, as well as theologically. 1. Have a “Camp Day” at your church. 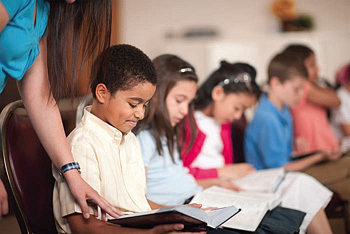 Have students pray together or attend a church service, then teach a lesson and do activities based on the theme. Make S’Mores, do a craft, and decorate the space with camp related accessories. You can make your own decorations or buy them from Oriental Trading. They have numerous camp items available to purchase. 2. 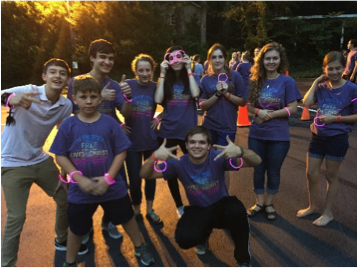 Hold a fundraiser to help send kids from your church to camp. Ideas could include a hot dog sale, bake sale, ice cream social, etc.